Can a six-second movie be considered art? In recent months, there has been a lot of talk about Russian law and homosexuality. Much of it has centered on international outrage at a change in legislation which, for many countries, would be a return to a very dark and depressing era in humanity's history, where non-heterosexual lifestyles were seen as something to hide or feel ashamed about. Some political leaders are not attending the Sochi 2014 Olympics, it is thought, because of these anxieties about human rights. Yet, the time for debate is now over. As the Games begin, the only question remaining is what will happen to an athlete if they do anything to express their sexuality while at the Games. The IOC's position on political manifestation at the Games is pretty unambiguous: the Games are apolitical and any action to politicize the Games is likely to be met with disciplinary action by the athlete's National Olympic Committee. This happened in 1968 when Smith and Carlos each raised a black gloves fist on the podium on behalf of African-American civil rights. They were subsequently removed from the team. Sochi's equivalent to Mexico 1968 is sexuality and the IOC would prefer that athletes just focused on their competition. I have some sympathy for the IOC, which, all along, explains itself as essentially the guardians of a multi-sport mega event, and that the issues around belief systems is not within their purview. It is not realistic to expect the IOC to make a significant intervention in long-term domestic law, beyond what is required to logistically deliver the Games. Yet, over the years the IOC has nurtured an identity that has made more central its contribution to advancing society in crucial ways and this is actually part of what Coubertin dreamed of when setting up the modern Olympics. For example, the IOC has built close relationships with the United Nations on a range of issues, such as creating global peace and environmental concern. In this sense, it has become a powerful advocacy organization, the value of which is born out of its response to and action around important global concerns. Furthermore, it is hard to understand how sexual identity should be construed as a political manner, rather than a fundamental human right that the IOC should support. After all, the Olympic Charter compels its members to support non-discrimination. To this end, support for sexual freedom is more adequately understood as a condition of membership to the Olympic movement, not a political choice. Being the host of an Olympic Games should make these commitments even more necessary to uphold. The IOC's only defence is found in the difference between a fundamental freedom and the advocacy of this freedom in public fora, the latter of which is what authorities seek to avoid. This may be the only way that the IOC can justify its stance. 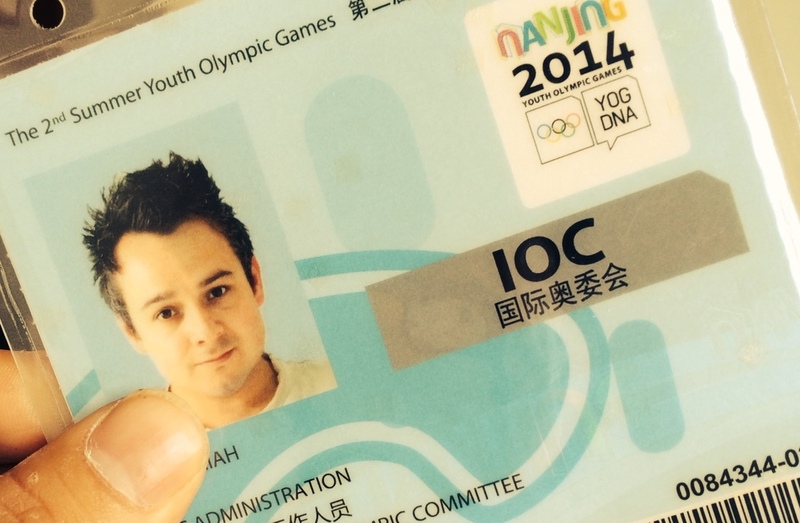 In any case, the IOC should guarantee that GLBT athletes will not face action for taking a stand at the Sochi Olympics. This would be an important message to send the world and the only way that these can really be great Games for everybody and avoid being labelled in history as the homophobic Games. Listening to the Chief Magistrate Desmond Nair’s ruling was a drawn out process with tweets indicating that Oscar Pistorius could have taken a flight around the world and arrive back in time to hear the verdict. But after a little under 2 hours, Nair granted Pistorius bail, which was immediately followed by an audible ‘Yes!’ from members of his entourage. Granting Pistorius bail was no easy verdict to reach and at times it sounded as though Nair would have to just toss a coin, as there seemed compelling gaps in both side of the argument as to what really happened. Why had Reeva Steenkamp locked the door to the bathroom? Why didn’t Oscar Pistorius say anything before taking a shot? How could he have passed by the bed and not noticed she was out of it? Equally, the lead police officer on the scene was given a telling off for having bungled a number of elements on the scene and for offering inconsistent stories, such as the nature of the steroids found or the distance of the witnesses who heard shouting were from the house. Just over half way through the lengthy lecture on South African law and its history of granting bail that preceded the ruling, it became clear that the Magistrate considered that the prosecution had done enough to jeopardise the legitimacy of Pistorius’ bail appeal. However, it was the fact that Pistorius was not deemed to be a flight risk that seemed to clinch it for him. When they started the hearing, I really wasn’t sure what to think still, but as it went through, I found Pistorius’ case increasingly credible and felt myself leaning towards the eventual outcome. There did not seem to be a sufficiently strong enough case against him at this point, even if there were serious peculiarities in his testimony, as reported by the Chief Magistrate. At best, it looked like this was going to a case of someone behaving terribly wrecklessly, which may be a disposition born out of a life with a disability in a nation with a terrible criminal history and a predilection for gun ownership. These explanations were not given of course, but I expect they will come out in the trial. Chief Magistrate Nair mentioned that Pistorius offered an unusual amount of detail in his testimony for a pre-mediated murder case and that this was to his credit. It is still hard to believe that Oscar Pistorius could be convicted for pre-mediated murder. All of the testimonies are generous to his personality, which is consistent with the status he has enjoyed over the years. In part, this is why the case is so fascinating, as it threatens to completely destroy our impressions of a person. Such public betrayal is always going to be big news. This is likely to be the trial of the decade. It was only a few days ago that the world of sport was talking about nothing but Lance Armstrong. However, the case surrounding Oscar Pistorius dwarfs any kind of doping scandal, past or present. A lot has been written about how the tragedy will mean the loss of a hero for the sports world and for people with disabilities. But, Pistorius isn’t just any old sporting hero. He is the most important athlete of the 21st Century and this fallen idol will mean that our social world will suffer a little longer from prejudice than it would otherwise have. 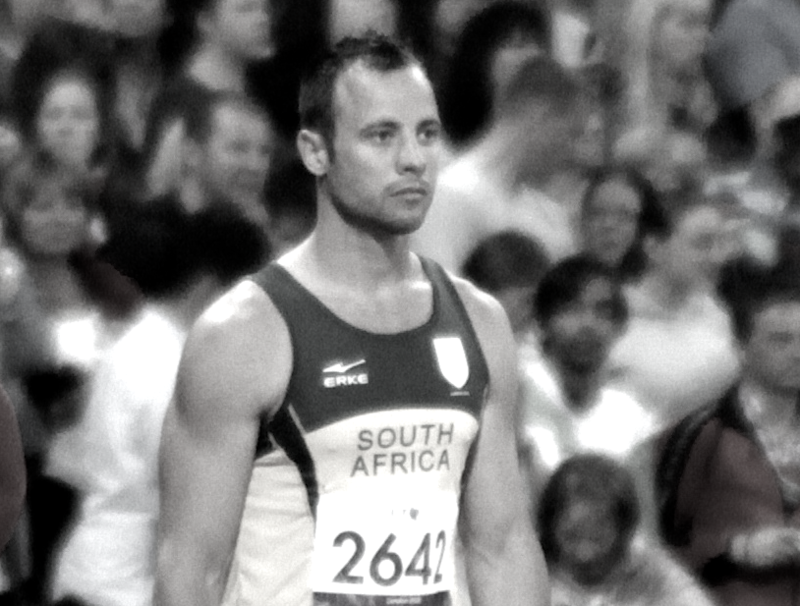 Unlike most athlete superstars, Pistorius transcended what happens on the field. Debates about him were of significance for society at large. 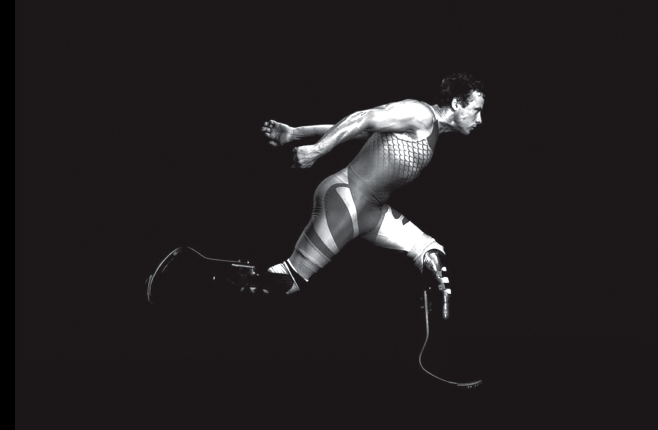 His capacity to rival the speeds of so-called able-bodied athletes brought into question the use of that term at all and made us believe that a bionic Games that was faster and better than today’s was just around the corner. In this world, it would be the technologically modified athlete we celebrate and it would be a world where disability no longer mattered. Everybody could compete on a level playing field and sponsors would fund Paralympic sport as much as Olympic. There may even no longer be a division between the two. There would be only one Olympic Games and only the best athletes competing. This is now all jeopardized by the fact that Oscar was the only Paralympian campaigning to bridge the two Games. No other athletes have made this case and so the issue may simply disappear from the headlines. The IAAF may have an easier time because of these events and the world of sport may generally breathe a silent sigh of relief that there is nobody else pursuing the same campaign. This is the second most tragic element of the circumstance, after the loss of a human life. An athlete whose entire future was still yet to be written, but which promises so much, seems like it is now etched in stone. Unless Pistorius finds a way to redeem himself through the trial, then we may never know how much the world has lost by his absence in public life. It wouldn’t be the first time that a celebrity has later found sympathy from the public and managed to recover their place as a role model. Oscar Pistorius is so young, with so much still ahead of him - as an athlete, an advocate, and an ambassador - the entire world will be made worse of by this recent, horrific event, if no recovery is possible. It should be pretty well-known by now that the Mayan's never predicted the end of the world this Friday, but they have a reputation for doing so because the last day of their calendar had the 21st December 2012, or thereabouts, as the last one. However, that doesn't stop us from speculating over what it might mean, if it really was the end of the world in a couple of days. After all, we will be confronted with this at some point in the future, whether it is the Mayan predictions, global warming or some other global catastrophe. So, what would you do, if you had complete certainty about the world ending on Friday? Imagine further that you only learned this right now, upon reading my essay. This article is the equivalent of Orson Welles' radio broadcast announcing aliens had landed. Your reading it was the moment when everything changed. What would you do? The first thing you might want to figure out is the conditions of our predicament. Just what do we mean by 'the end'? Does the end of the world mean the end of humanity, the end of planet earth, or maybe just the end of all other living species, for instance? Is it a bit like a nuclear attack that we could, technically, survive, if only we insulated ourselves from the damage? In each instance, things are pretty damn serious, but each demands quite different reactions. If it were the end of planet Earth - as in Lars Von Trier's Melancholia - then we might want to figure out an exit strategy. How could we get off this planet and into some other kind of planetary environment? This is a pretty common scenario in science fiction stories on, not least because they often rely on an exit strategy to have meaningful end for characters. This is why Von Trier's film is so novel. Everyone dies and there is a resignation to a more powerful force, which is an unavoidable, pending, tragic, but beautiful reality. Now, to be frank, there is not a lot you can do to get off planet earth within 48 hours. Even if you could physically get off the planet, you won't get very far before you run out of fuel and need to land somewhere. So, escape is not really an option for most of us. Our Prime Ministers and Presidents might have some escape route we don't know about - they always seem to in films like this - but they're also in a pretty tricky situation, unless escaping to the international space station or some other outer stellar environment is an option. Some desert in the Midwest just won't do the job for Barack Obama, even if it is deep under ground. In any case, the fact that we've all died mean there's not much of a case for them going at all, since the people they govern will no longer exist. If failed policies don't cut the mustard, surely the annihilation of the entire electorate invalidates an administration's right to govern. So, it might be better to choose a rocket full of people who have the range of skills necessary to rebuild the population, even if that possibility is remote. But let's suppose that our 'end of the world' is one where everything, as we know it - and as it has ever been known - disappears, a literal collapse of everything compressing into nothing, just a complete absence of life, existence, space, and matter. A state of being where we can not knowingly conceive of any possible return. All gone. Forever. What would you do right now? There is nobody who can help you, no device, technology, or strategy that could avoid this pending certainty from coming about. How would you spend your last 3 days? The first thing I'd want to know is what time exactly will it all come to an end - and what time zone! Let's say it is 7:13pm on Friday in the United Kingdom. I'd then want to know exactly where everyone I love is presently located and, if they are away from home, figure out whether they could get there. After all, being together with my loved ones seems like the most likely thing we'll try to achieve. Unless of course, my loved ones are like the family in Thomas Vinterberg's film Festen, where a family gathering turns into a raucous exposure of family child abuse, bringing about the rapid demise of the gathering and familial bonds. This kind of scenario might actually be quite common at end of world family parties where the most heartbreaking truths about each other could surface to ensure we go out with least some degree of knowledge about what our lives really meant to one another. Yet, even getting people together is going to be tricky. The reality is that most people who require some form of transportation to get somewhere will not make it, as there would be chaos in the transport system. Pilots will stop flying. Train drivers will stop driving. Traffic control workers, signal guards, road maintenance and emergency service staff, will all face the same question as us - why spend time at work, when you only have 3 days left to live? 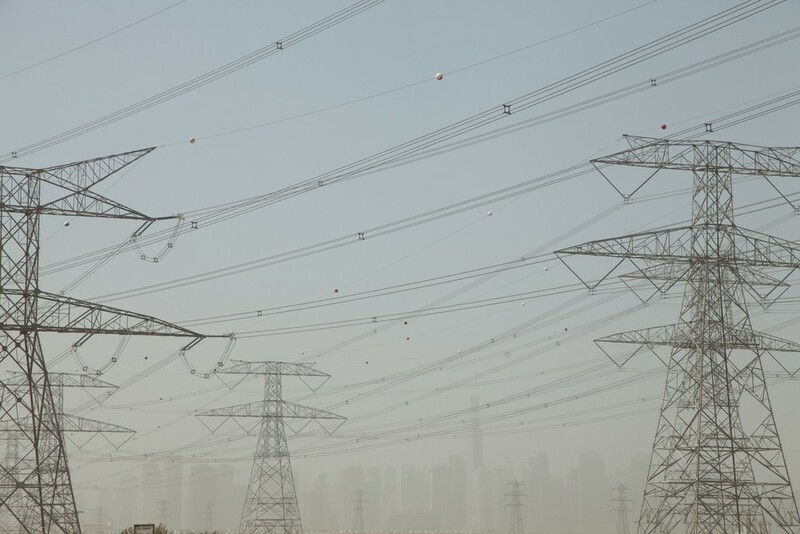 In any case, the entire energy distribution system would grind to a halt, leaving most vehicles stranded with a tank's wroth of gas left to get them to their destination. Furthermore, drivers would be insanely reckless, making most major roads unusable, so driving is likely to be out. It might be worth figuring out how to hot wire cars, in case you find one with fuel in it, but it's going to be a long shot. Once I've dealt with the possibility of not seeing some people ever again, I want to round up the few people I have near whom I care about. Now, unavoidably, you might find that this is going to be impossible. If you are that guy who happens to be in some random hotel in some random country doing business, you're pretty much on your own. You can realistically face the end of your days sharing it with a mini bar - if you were lucky enough to have had it restocked before the news broke, as that person has definitely quit their job by now. So, it's a reasonable assumption that everything would grind to a halt, making most forms of travel impossible for a lot of people. We would very quickly descend in to the kind of chaos that is found only in films like The Day After tomorrow, where not much beyond human energy drives the planet forward. However, if you are lucky enough to herd up the key people - not withstanding the fact that you might not be in their list of people they want to herd up - then what do you do next, once you are all together? Well, since it is nearing Christmas, maybe some games, a film, opening presents that presently sit under the tree (bad luck for those who have family members who are last minute shoppers). This may sound trivial, but what else do you expect? The pursuit of normality in moments of finitude is likely to be highly prized by people who are beginning a journey of nostalgia into an already lost future. Why shouldn't we just calm down and carry on? When all is said and done, I'd probably want to just sit with my wife and play with our son, watch him do things that amaze us, maybe do some drawing or painting, go to bed together and hold each other the entire time without a break. Eat some food from time to time. Go for a walk. Play with his teddy bears. Not talk about the end of the world and just enjoy every minute left with him. An appreciation of intimacy is not unique to our species, nor possible to enjoy only with members of our species. You might even choose the final sunset as your companion. But, whatever form we can get it, intimacy is likely to be the one thing we seek out in moments of certain, collective doom. There will be no grand statements; no dramatic moments. Just sharing the same space, going through it together, understanding we are lucky to have each other. That will probably do. On the other hand, I might try to get up some high mountain and jump off the edge a few seconds before it all comes to an end. I've always wondered what that would be like. Got to time it right though. This month, I have an article published in The Walkley magazine, an insiders magazine for Australia and New Zealand media. The edition arrived in the post today and it's a really nice publication with a whole section on the Olympics. I learned a lot from reading it. Rod Savage and Toni Hetherington from News Limited write about delivering their Games across 'five screens', when talk of a 'second screen' focused people's attention for years earlier on the approach to Beijing. I'll let you try to guess which are the five screens. Karen Barlow from ABC also proclaims that social media brought us together, noting Twitter's role as a story source. My article considers the lasting changes to the Games, resulting from how it was delivered via social media during London 2012, focusing largely on how social media stories became part of the news cycle within main stream press. Yesterday, I published a piece in the Huffington Post about the increased use of automated technology within social media. Today is my birthday. It began in the typical fashion - checking my mobile for Facebook birthday wishes. Afterwards, everyone got up and we opened presents, had breakfast, and so on. Later came text messages, then telephone calls and, eventually, the post. This seems to be the communication hierarchy today. But, it was really Facebook who occupied prime position today. I say ‘who’, as if Facebook is a living person, which of course, it is not. Yet, we do imbue our computers and devices with identity and intention. Computer programmer Alan Turing imagined a world where computers did exhibit the same kind of intelligence as humans and automating intimate birthday greetings may be one step closer to that. Just this month, the Computer Conversation Society awarded a prize to an artistic installation by David Link, who recreated a programme from one of Turing’s contemporaries, Christopher Strachey, who created an automated ‘love letters’ programme, which would spew out messages designed to stimulate feelings and emotion. After having read a few of my lovely greetings from lovely people, I started to feel whether something similar was going on. Could there be an app that is allowing my ‘friends’ to create automated birthday greetings? After all, some of the people who were sending messages were not really close friends, not even people within whom I interact once in a blue moon. So, a quick search and yes, there is an app that does this. You can even personalize the automated message by introducing a name or creating a selection of possible greetings that it will select randomly, so it doesn’t seem suspicious. Before you ask, no, I am not sharing the link to this application! In fact, I think such an app is both an indication of what is great about web 2.0 and what may bring about its demise. Transforming such an intimate communication as a birthday wish into an automated message, betrays the value of social media and the human relationships it is supposed to foster. But, people do need help. Most of us far exceed Robin Dunbar’s counsel that the human brain has space for only around 150 meaningful relationships and ‘add friends’ like they are going out of fashion. Like many, I am someone who forgets birthdays and tries hard to put birthday dates into my digital calendars to ease the burden. However, with calendar migration, new devices, etc, things have got lost and I’ve missed birthdays. Furthermore, my trusty kitchen wall calendar doesn’t have much ink on it these days. Facebook has become our most reliable place for anniversaries, because the person – or thing - whose birthday it is reminds us, since they who imputed the date into the global calendar. The problem is that this service has become so good that Facebook is getting dangerously close to being a ‘who’ rather than a ‘it’. Facebook is starting to take more credit for my birthday greetings than my friends and the entire process of expressing sentiment between people is becoming automated. Being forgetful is one thing – even if it is forgetting someone special on their birthday. Removing the entire human agent from the communication process because of this forgetfulness is quite another. For my birthday, I’m determined to reply to every greeting. Even a conversation that starts with an automatic message may lead somewhere fruitful. Although, I do wonder whether there is an automated ‘birthday greeting reply’ app out there. Interview with Gareth Mitchell for BBC World Service (radio), we cover Oscar Pistorius, new technology and the ethics of sport. Sponsorship, surveillance, spectacle and subversion are not discrete categories within the Olympic city. Everyone attempts to hijack each others' message or get around the other's guidelines. 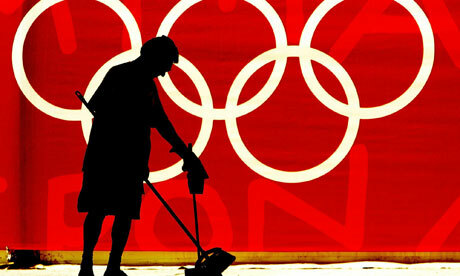 The International Olympic Committee limits the sponsors' privilege by forbidding their presence within Olympic venues. The sponsors limits the host city's privilege by securing all billboard space for their own campaigns and erecting their own meta-event within the mega-event with vast temporary buildings and by staging their own Olympic programme. The Host City draws people away from the sports towards experiencing their culture and heritage, in order to recover some of their financial loss. Spectators roam the streets searching for scalpers' tickets, finding that the only scalpers are executives from top sponsors who have wads of free tickets they will sell at face value. Even the athletes try to get around the rules by doping. The Olympic park is a new kind of theme park – 'a theme park without a theme' as writer Iain Sinclair put it in his latest book Ghost Milk. However, the park is no longer enclosed; the city has become the park. For London 2012, there is already a big wheel installed for tourists to ride. This world is not hyper-real like a Disneyland, but an Uberland where consumption even relies on its own global currency – VISA, the exclusive card of all Olympic activity. All 204 visiting nations are able to access the Olympic experience by this simple chip and pin transaction, while London 2012 banks on providing its second Austerity Olympics anxious that the city may be burning with unrest, as it was in the summer of 2011. These images tell stories of alternative Olympic experiences the protests that go unnoticed by the 20,000 journalists who shuffle form one sports venue to the next blinkered from what happens in the city. The Olympics and Higher Education: What just happened? With less than 6 months to go until the opening of the London 2012 Olympic Games, do we know what will be its legacy for higher education? A conference taking place at the DCMS today aims to reveal what just happened, but also how we might capture what is about to happen during the Games. However, there is more to the impact of the Olympic and Paralympic Games on HE than just how academics have researched and evaluated them. Back in 2005, I attended a pre-win event about how education would be affected by the London 2012 Games. Some of the speakers - many of who held high power roles within British education - spoke with lofty ambition about how the Olympic period was an opportunity for reform in British education. Inspired by the founder of the modern Olympic movement, Pierre de Coubertin, who was himself inspired by the British education system and a reformist, there was everything to play for back then. But have these aspirations been realized? Did the Olympics transform education in the UK? Certainly, a lot within higher education has changed since Britain won the bid. A lot has changed in the world. Earlier this month, the historic site of Ancient Olympia - where the ancient Games began - was in the news due to thefts at its Olympic museum. Seen as a direct consequence of Greece’s current economic woes, it is worth remembering that this is a nation that hosted the Athens 2004 Games and which has contributed more to Olympic education than any other. Its International Olympic Academy, which is located nearby the museum where the thefts took place, has been providing higher education students from around the world with Olympic education for over 50 years. If Greece can hold together a summer programme of Olympic education in such times as these, then the bar has been set very high indeed for the UK and its future contribution to Olympism. Even without a similar length of history, the UK has a strong commitment to supporting higher education endeavours around the Games. The British Olympic Association has hosted an annual National Olympic Academy for many years, where students, teachers and HE professionals gather to consider the state of the art for the Olympics. As well, the UK has a well-populated register of Olympic scholars, as evidenced by the recently launched ‘Games experts’ website (http://www.games-experts.com). This portal will have particular value during the Games period, when some 30,000 journalists will be seeking expert commentary on all aspects of the Games. It was set up by PODIUM (http://www.podium.ac.uk), the London 2012 HE & FE Unit, which itself is a unique and pioneering agency in Olympic history, providing a crucial catalyst for collaborations across the sector and necessary liaison across various stakeholders. A quick glance at PODIUM’s websites offers a snapshot of how the Olympic & Paralympic programme has informed the strategy of numerous universities around the UK – not just in London. From setting up undergraduate modules on media training in order to staff Olympic venues to building links with hospitality courses or security, there is hardly one dimension of the higher education sector that has not been reached by the Olympic programme in some way. Research from last year showed that over 90% of all HE and FE institutions expected to be involved with the Games in some capacity. This does not mean that all HE professionals or institutions have placed themselves firmly behind the bid, or the Olympic programme. Many academics have devoted their careers to criticizing the overblown commercial projects of mega-events, the exemplar of which is the Olympic Games. The day following the DCMS conference is a Political Studies Association meeting at Southampton Solent University, which will cover such topics as ‘Occupying the Olympics’ and the rise of new media activism as community of critical debate. Examining the bid commitments made by London 2012 back in 2005, educational is located within the very final paragraph of the final chapter titled ‘Olympism and Culture’. For those unfamiliar with the term ‘Olympism’ a study of the philosophy of sport literature and Coubertin’s own writings reveals how he devised the modern Games as a philosophical framework. To this end, one may see the Olympics as, first and foremost, an intellectual project – a desire to promote a higher education. As with many aspects of London 2012 – indeed, with all Games from bid to delivery - there are educational promises that have not been kept since 2005 – the creation of an London Olympic Institute and a literal ‘Friend-ship’, which would house a range of projects during the Games. Their absence does not negate the fact that the higher education work that has taken place during this pre-Olympic period has been substantial. Research Councils have worked together on funding programmes, Funding Councils have developed extensive programmes of activity, and the Games have given rise to cross-sector collaborations, particularly between education and the arts sector. What happens next is the crucial question for me. What will be the HE legacy beyond the Games? Will HE institutions continue to pursue an Olympic mission in their work or will they move on to the next political agenda? 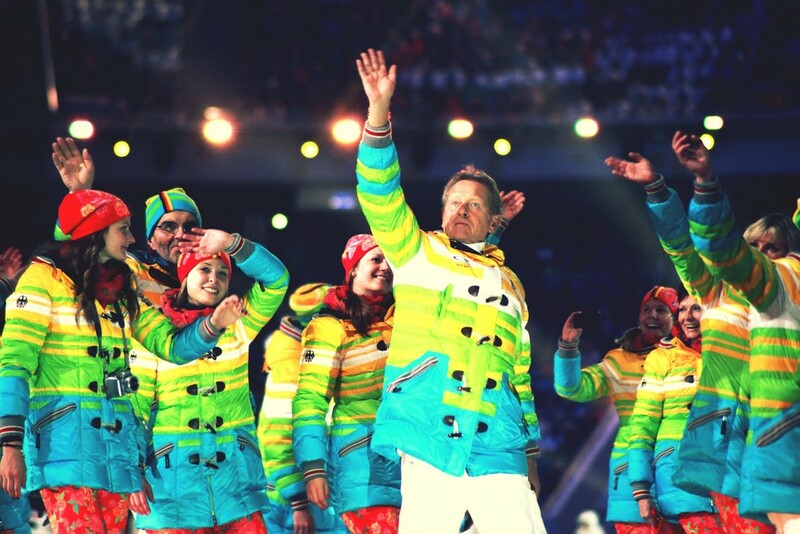 The next Olympics take place in Russia with the Sochi 2014 Olympic Winter Games. Russia has created the world’s first ‘Olympic University’ as the framework for its HE contribution, concerned with teaching and researching mega-events, along with their management and administration. This institution has global ambitions to become a centre for training after the 2014 Games. While it is unlikely that a London Olympic University is anywhere on the horizon, if educators are truly sold by the idea that the Olympic & Paralympic Games can bring about some kind of positive re-think of how education should take place, then this conviction should not end in 2012. Is it time to boycott books? Today, I published an article with the Guardian Higher Educaton network, which discusses strategic decisions for researchers in preparation for REF2014 - the UK's governmental research evaluation in universities. The piece draws together many conversations I've had with colleagues in the last few years about what matters when publishing. I've always been a staunch supporter of book chapters and edited volumes, but evidence from RAE2008 makes it hard to sustain a commitment to such titles. On balance, I'd advise people to focus on journal articles, unless they are too impatient to publish something. Anyway, here's the article in full and on the guardian website. Much of this debate is subject specific. In RAE2008 the law submission showed little interest in edited books constituting less than 1% of the total submission and focusing much more on journal articles. Books are similarly ill considered for the life sciences, for which much of this debate is, for want of a better word, academic. In this case, authored books are mostly seen as textbooks, intended principally for student bodies to purchase, not for peers to read. The progress of science runs too quickly for an author to wait for their cutting edge contribution to come out in a book. 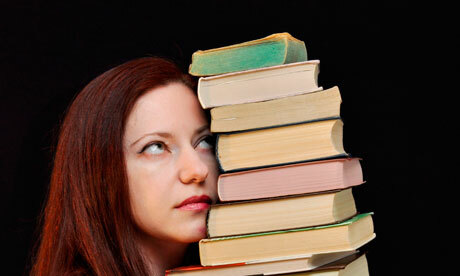 Writing a textbook can have value, but not for theresearch assessment. All that matters are journals and the higher the impact factor, the better. As for all our research, the importance of the contribution rather than its medium should matter most. There's still a lot we don't know about the relative quality profile of the output weightings. It also matters what one's peers are doing, so identifying that peer community matters. However, if seeking to advise scholars, then targeting journals rather than books may be smarter. On the other hand, writing one's own book can be an important step towards establishing ones reputation beyond journal articles. Of course, there is nothing like receiving a beautifully printed book that can sit on one's shelf alongside its peers. Journal articles rarely offer the satisfaction of having completed something that also has an attractive, tactile quality. Some clever publishers are republishing collections of journal articles as edited volumes and this may be a very sensible way to go. Just the other day, I searched my name in Amazon, just in case there was something I had published without my knowledge (it has happened). I noticed that there is a publisher – which will remain unnamed – creating new books drawing content from freely available content online, from such sources as Wikipedia. If this is the future of book publishing, I'm out! latest article for the Huffington Post focuses on the politics, philosophy and potential of bioart. IN RECENT YEARS, a new breed of artists named bioartists have begun to infiltrate gallery spaces and scientific laboratories in pursuit of creative expression and new knowledge. Their number includes some of the world's most adventurous avant-garde artists, whose core currency is the playful and sometimes political exploration of new media through which to create art that will change our way of seeing the world. One such artist in this field, Gina Czarnecki, is having her first UK retrospective opening on December 8th at The Bluecoat in Liverpool. Yet, there is a great deal more at stake with this new form of creative practice. To this end, bioartists also scrutinize contemporary bioethical issues and scientific practice, such as the utilization of embryonic stem cells, or the development of transgenic species. However, it is far from clear that the intention of such artists is to resist such processes. Indeed, some are seeking their development in order to make their art possible, such as Stelarc, the long-standing performance artist who regularly alters his body for his art. Biology has been a medium for artists for some time. Everything from saliva to human excrement has entered the play space of artists over the years. The difference in these new works is their experimentation with cutting edge scientific applications, such as stem cells, cosmetic surgery and biotechnology generally – technologies that are at the margins of human experience and about which there is considerable controversy. The resulting works vary considerably and they range from the weird and wonderful, such as Eduardo Kac’s fluorescent, transgenic bunny, to the sublimely curious such as Julia Reodica’s designer hymens, a collection of synthetic hymens, which invite questions into the role of virginity and its loss in the 21st century. Alternatively, Yann Marussich’s whole-body secretion of a blue dye in a piece of live art called ‘blue remix’ heralds a new era of performance.. However, one can read a deeper politics into such desires. Their gentle tip toeing into labs raises important questions about how we organize society and understand our own humanity. For instance, why do we privilege scientific knowledge over, say, aesthetic, as evidenced by the way in which funding is skewed in favour of the former? In short, the efforts of bioartists is doing nothing less than attempting to disrupt the global knowledge economy by reinstating art as the primary medium of developing insights on the, as yet, unstudied future. In so doing, the work of bioartists also raises difficult ethical questions. For instance, it requires us to consider by what codes of ethics such work should be governed? This is often the initial response of critics who find such work disturbing, offensive or potentially illegal: how could one play with transgenic science simply to create a new aesthetic artifact? However, there are good reasons for refraining from such judgements and this is because the aesthetic content of such works is only one way of evaluating their worth. So, the transgenic art of Eduardo Kac invites us to consider the limits of ‘Playing God’ and he is quick to point out that scientists have already undertaken such experiments, we just don’t hear very much about it, or it is cloaked in some remote chance that the experiment will lead to knowledge that will assist humanity in some specific way. In any case, if one wanted to read Kac's fluorescent bunny as the next era of personalised pets, what should be our objection? Doesn’t our desire for pets necessarily commit us to their objectification and servitude, even though we might claim they are our companions?